Here’s a great, simple, throw-it-in-the-oven recipe that’s hearty enough for the depths of winter if you’re living somewhere cold, but is equally enjoyable in a hot country. The recipe was given to me by a friend who is a typical Bloke in the Kitchen: he’s a busy working man, divorced with three kids whom he cooks for from time to time, but mostly it’s just him and maybe a friend or two. Likes cooking but doesn’t want to be in the kitchen all day. He didn’t invent this dish, but he gave me his own take on it and I’m doing my own take on his take. You do it in a roasting dish deep enough to take a bit of gravy. Put the chicken legs in the roasting dish and prepare as if you were actually roasting a chicken. Season with salt and pepper and Worcestershire sauce. Roast on medium for an hour, until they are getting a tan and looking succulent. Remove the dish from the oven and start turning it into something other than a dry, roasted chicken. Splosh in half a bottle of dry cider or white wine and stir to get the good stuff off the pan. Add a chicken stock cube, then a big dollop of mustard. Dijon is best, or something else French, with grains if you can find it. You’re not looking for the nose-running harshness of hot English mustard (although you can do it that way if you like). Mix a couple of tablespoons of flour in a cup of water (this is to thicken the gravy) and pour that in. Bang it back in the oven for an hour or so. Mash some potatoes, cook the broccoli, green beans or whatever. 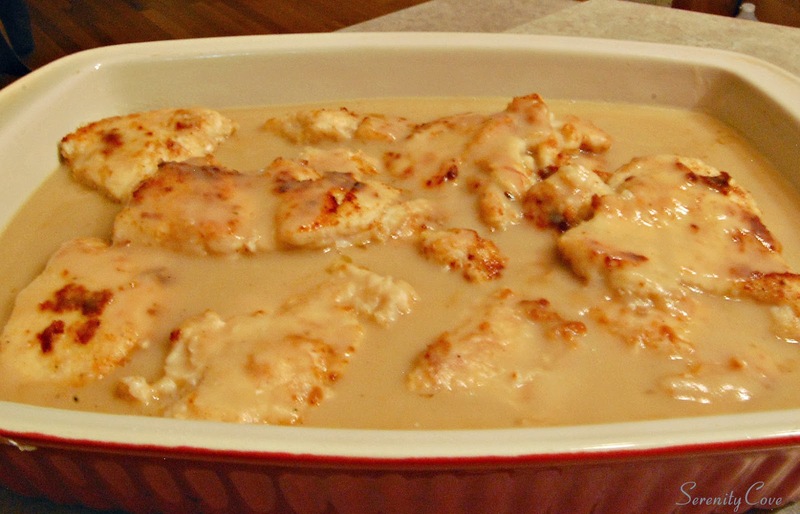 Serve with as much or as little of the lovely gravy as you like. The mashed potatoes and the gravy will melt into each other like young lovers in a holiday cabin by the beach. Previous Previous post: The wisdom of pop songs – How strong is a woman?